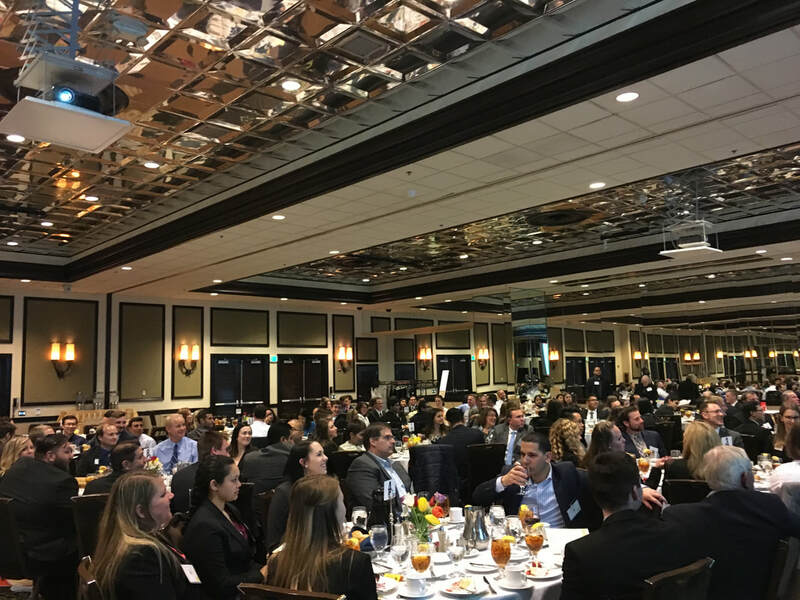 The Spring Banquet is Beta Alpha Psi’s annual premier dinner event affording accounting professionals and accounting students the opportunity to network and to interact. Beta Alpha Psi accomplishments for the year are reviewed, scholarship recipients and donors are acknowledged, and awards are presented to both students and faculty. The evening is highlighted by a keynote speaker from industry. A silent auction will also be conducted to help raise money for our chapter. The Beta Alpha Psi is looking forward to an evening of celebration and networking with the professional community. When and Where is the Spring Banquet? All members of Beta Alpha Psi are invited to attend. Platinum and Gold Sponsors are entitled to 10 seats; Silver sponsors are entitled to 5 seats. If your firm is not an annual sponsor, table sponsorships are available - a half-table sponsorship (5 seats) costs $400 and a full-table sponsorship (10 seats) costs $700. Donations of student plates are encouraged and welcomed.